Welcome to SitcomsOnline Digest! This week, we're learning more about Spike TV's 2018 rebranding as Paramount Network, some popular shows are leaving Netflix, and more. Let's get going! 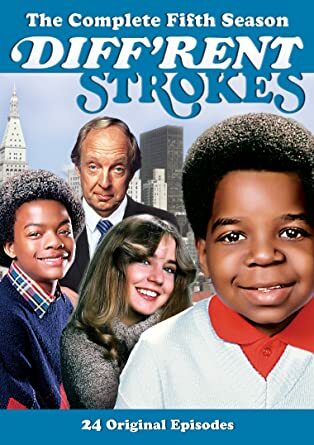 Diff'rent Strokes - The Complete Fifth Season (DVD, $19.97): The series has been stalled on DVD for years, and it seemed to be abandoned, but Shout! Factory has returned the series to DVD with this release. Claim to Fame:Adam Pally was born in New York and knew he wanted to act early on. He got his first role in 2011 on the ABC series Happy Endings, where he played Max Blum. As soon as that ended, he was able to immediately hop over to The Mindy Project, where he played another regular role, as Dr. Prentice. As we mentioned today, that series is also coming to an end soon, but he is safe for now, because he now stars as Dan Chambers in Fox's new series, Making History.